Visit the transportation and commuting alternatives page for commuting options to explore San Diego without driving that are environmentally friendly and cost-effective. What is it like in San Diego? 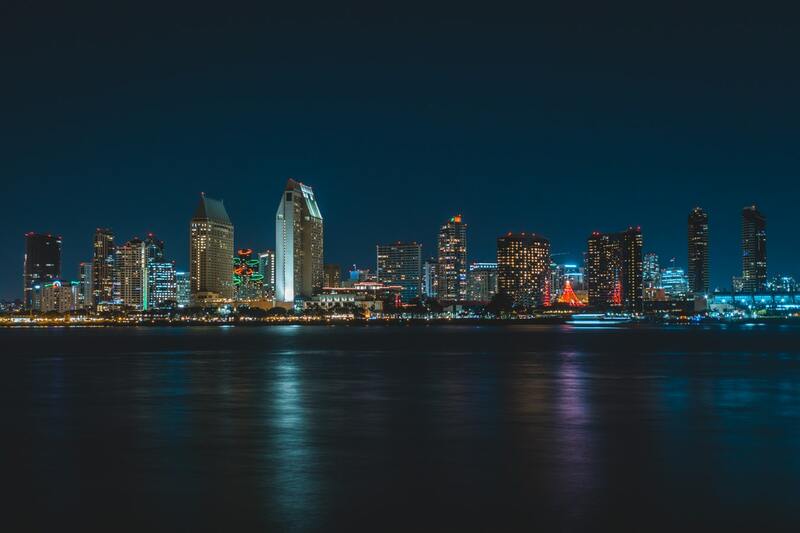 Get to know San Diego! Enjoy the outdoors and cultural life. For more information on activities and events in San Diego, please visit the San Diego Tourism Authority's website. participate in intramural sports and sports clubs. There are also special programs for children. To participate, individuals must be either a current UC San Diego student or a Recreation Card (RecCard) holder. It is necessary to carry a RecCard or student ID and a towel when using any of the facilities. You can purchase a RecCard at the Recreation and Intramural Activities Complex (RIMAC), located on the northwest section of campus. Class schedule and registration information is available online. Birch Aquarium offers visitors an up-close view of sea life off San Diego’s coast with marine life displays, outdoor tide pools, classes for children, and a museum located at Scripps Institution of Oceanography. The La Jolla Recreation Center has summer and holidaycamps for children as well as facilities for sports. Mission Bay Aquatic Center is one of the finest water sports facilities in the country and offers a wide variety of inexpensive and fun activities for the whole family. The Mission Bay Aquatic Center offers classes and rentals in waterskiing, sailing, surfing, rowing, kayaking, scuba diving, and windsurfing. Discounts are available for those with UC San Diego affiliation. Outback Adventures rents camping, skiing, and other equipment for very reasonable prices. Outback Adventures also offers trips such as kayaking, mountain biking, hiking, rock climbing, and skiing. Visit their office located near Pepper Canyon Hall in Sixth College, east of the Price Center. Standley Park and Recreation Center sponsors a variety of low-cost and free activities and classes for children and adults. UC San Diego Extension has classes in the arts, music and performing arts, computers, foreign languages, recreation and exercise, horticulture, wine tasting, intercultural programs, and more. Classes are open to everyone and are available for credit or non-credit. Fees vary depending on classes. Ask about UC San Diego affiliated discount rates. As the largest desert state park in the U.S., Anza-Borrego Desert State Park features wildflowers, a desert garden outside the visitor center, and campgrounds. Reservations for camping may be made by calling Park Net toll-free at (800) 444-7275. In addition to firsthand contact with the desert environment, the eroded Badlands of Anza-Borrego provide a window into the region’s vanished past and offers insight into the surrounding area’s paleontology. Balboa Park is the site of the world famous San Diego Zoo, as well as museums, art galleries, a botanical garden, picnic areas; the I-MAX theatre in the Reuben H. Fleet Space and Science Center is also a popular attraction. The Cabrillo National Monument commemorates explorer Juan Cabrillo’s discovery of the California coast in 1542. 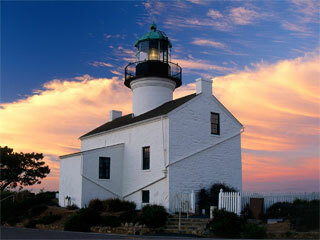 Tour the lighthouse, explore the tidepools, watch for whales, and enjoy the breathtaking view. This monument is located at the tip of Point Loma. Tours of the historic Gaslamp Quarter in downtown San Diego are offered by the Gaslamp Quarter Council. There are a wonderful variety of restaurants, dance clubs, and shops to explore. The Hotel del Coronado is a San Diego landmark made famous in the Marilyn Monroe movie “Some Like it Hot.” Explore the museum at the hotel with its unique architectural design and do not miss the quaint shops and restaurants that Coronado has to offer. Julian is a small town in the Laguna Mountains is a popular destination during apple season. Tantalize your taste buds with apple pie, apple cider, and a wide variety of apple delicacies while you escape to the mountains of San Diego. Explore the cave and tide pools of the cove at La Jolla Cove. Many fine gift shops and art galleries are located along Girard Avenue and Prospect Street. Bring a picnic or try one of the many restaurants that offer spectacular ocean views. Mission Bay Park has 27 miles of beaches, bike trails, picnic areas, and playgrounds. There are also recreational areas for water-skiing, jet skiing, sailing, and swimming. Old Town San Diego State Historic Park has parts of San Diego’s original settlement with buildings dating from the 1820’s. There are many shops, museums, and restaurants. Various restaurants and cafes offer authentic Mexican food and drinks. The Palomar Observatory visitor center offers an excellent view of the 200-inch Hale telescope. Stargazing is offered in the summer. 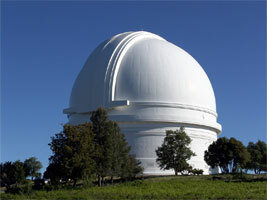 This observatory is located atop Palomar Mountain and opened daily from 9:00 a.m.-4:00 p.m.. 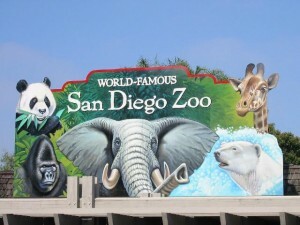 The world-famous San Diego Zoo is located in Balboa Park. It is home to a wide variety of species and state-of-the-art climate zones. It offers a petting zoo for children, animal nursery, Skyfari tram rides and a bus tour. **Discounts available at the UC San Diego Box Office. Sea World is a popular marine theme park located in Mission Bay. It offers a variety of animal shows, including a killer whale show featuring “Shamu” and special exhibits such as the Shark Encounter. Spectacular waterskiing shows and fireworks displays are offered during the summer months. **Discounts available at the UC San Diego Box Office. The Seaport Village shopping center includes daily entertainment, fine dining, and more than 65 one-of-a-kind shopsfrom fine art to handcrafted gifts. There is a carousel from the 1890s, jugglers, music and year-round special events. 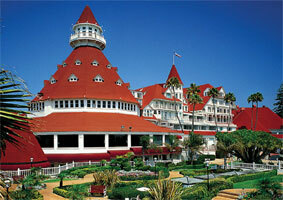 It is also known for its magnificent view of San Diego Harbor.